With traditional tree-length harvesting, there is often a high degree of residual stand damage and soil disturbance. CTL reduces this damage by directionally felling trees directly at the stump rather than pulling them through the stand. Because stand damage often happens as a result of ground based skidding, CTL reduces stand damage by eliminating the need for skidding altogether. Soil disturbance is also reduced because limbs and slash are used as a mat for the harvester and forwarder to travel on. For CTL logging, you only need a harvester and a forwarder team, which means fewer workers and fewer pieces of equipment are needed to do the job. So, with less congestion, you’re likely to see improved safety measures out in the field. Trees are delimbed and bucked in the forest with the CTL method. This means leaves, needles, branches, and tree tops all left behind, which can help enrich soil and promote regeneration. Because the machines are more technologically advanced, CTL forestry equipment often come with a higher price tag. Even though the upfront investment can be expensive, the overall operating costs of using CTL equipment may be worth it. 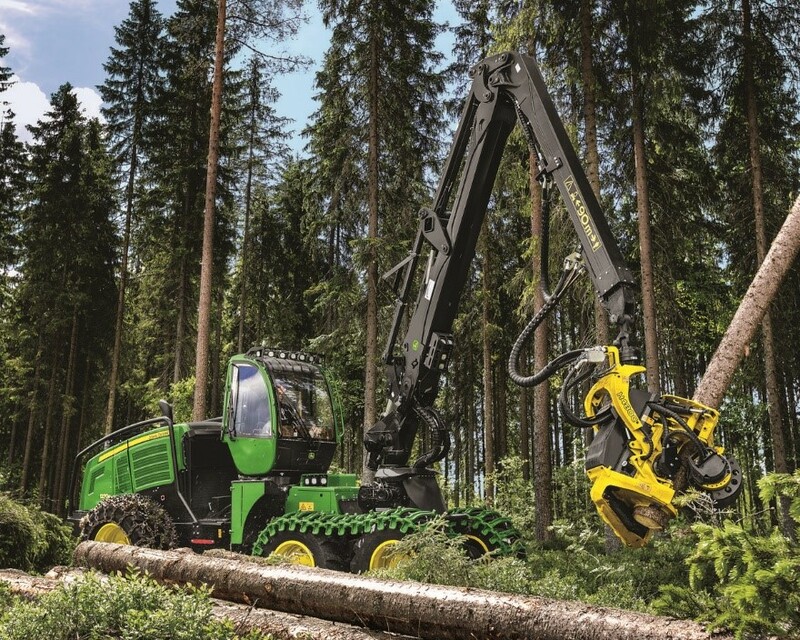 For example, fuel consumption is slightly lower with cut-to-length logging equipment than it is with tree-length equipment, because there are fewer machines and because the equipment is generally lighter. As with any piece of equipment, it's essential your crew knows how to safely operate it, which means you’ll need to spend time and money on operator training. Still, logging companies can save money from reduced salary costs since it takes fewer employees to operate using CTL logging methods. Depending on your location and logging conditions, equipment and harvesting costs are quite comparable between CTL and traditional logging methods. If you’d like to speak to a logging experts or if you're looking for cut-to-length logging equipment for sale, stop by your nearest Papé Machinery Construction and Forestry locationin Washington, Oregon, California, or Nevada. We offer an array of construction and forestry equipment with helpful financing options available to keep you moving.